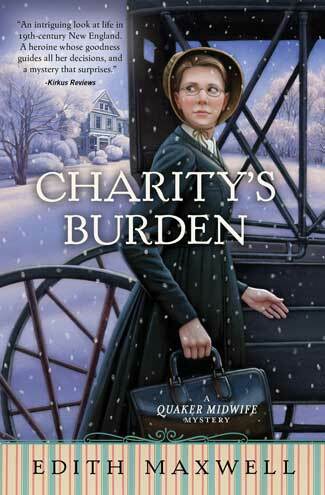 In Charity’s Burden, the fourth mystery in Edith Maxwell’s Quaker Midwife Mystery series, Rose Carroll seeks the true cause of a young mother’s death in turn-of-the-century Massachusetts. We’d received both my parents’ blessings as well as David’s father’s. But his mother was firmly against our union. Amesbury Meeting didn’t approve either. David was not a Friend, attending the Unitarian church in Newburyport. I would be marrying out, as Friends referred to it, and would be read out of Meeting, at least for a time. My mother had let me know the Lawrence Meeting, where she and my father worshipped—and where I had grown up—was more lenient and would welcome us to be married there. But the obstacle of Clarinda, David’s mother, was another matter. We had yet to schedule our wedding. Tragedy will quickly shove these thoughts aside in Rose’s mind, however, when a visit to a miscarrying mother ends in death. Rose is shaken by Charity Skells’ passing, especially since Charity was bleeding far more profusely than an early miscarriage would warrant. 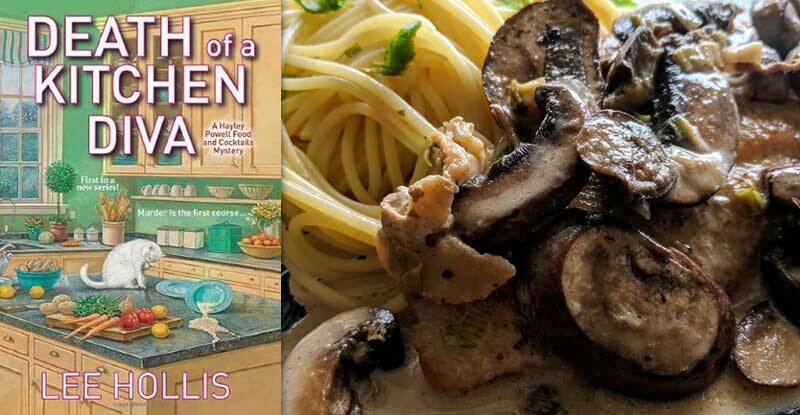 She takes her suspicions to her friend, police detective Kevin Donovan, with whom she’s previously collaborated to solve murders, but finds a fresh obstacle in the form of his newly instated boss, police chief Norman Talbot. 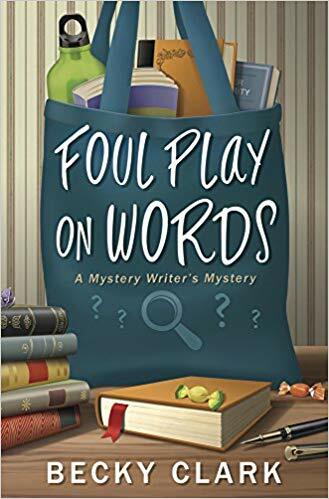 Norman doesn’t approve of civilians, much less civilian women, getting involved in police work, so she and Kevin are forced to communicate in roundabout fashion when an autopsy on Charity’s body reveals that foul play was indeed involved. Rose soon finds herself on the hunt for the unethical abortionist who caused Charity’s death, even as she advises her niece on family spacing and muses on the role of the midwife and other women’s health providers in supporting their patients’ wellbeing. It’s a refreshingly unprecious take on a contentious subject. Edith Maxwell presents the very different viewpoints on the subject with compassion but is exceedingly clear in her belief that the most important life—and opinion—involved is that of the pregnant woman’s. I kept my finger on my client’s barely detectable pulse as I tried to pray for her, but instead my thoughts turned to imaginary remedies. 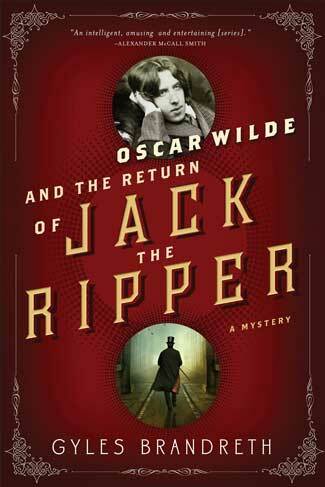 Would that we had a medicine to more effectively stop bleeding, or the means to replace all the blood she had lost. I had read about experiments in England to transfuse blood from a healthy donor to a patient suffering with extreme loss from hemorrhage. So far there were as many deaths from the procedure as lives saved. Perhaps blood from one person was incompatible with blood from another. Regardless, it was too late to take such a risky step with Charity. Had I done all I could to save her? I believed I had, and only wished there was more in my power to do. Technology has come a long way since the 19th century but there’s still a lot to be said for the patient-centered care that Rose practices as best she can. 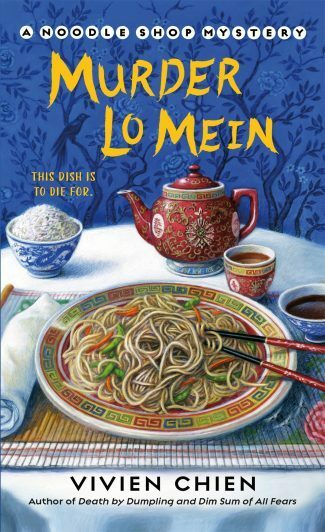 Her life isn’t easy as a working woman from a religious minority, but she deals with the challenges of daily life with grace, wit, and kindness. If one of those challenges happens to be solving a murder, then so be it. It’s always a pleasure spending time with Rose and I’m very much looking forward to seeing how her personal life develops, especially after the continuing revelations of this novel. She’s such an engaging character that it’s hard not to feel personally invested in her life and crime-solving as this excellent series progresses.